This February explore your gardens, parks, forests and sea sides! 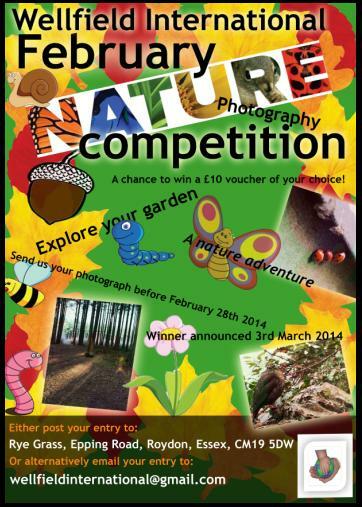 This month’s competition encourages children to get outside and photograph the nature that surrounds them. ebruary. Winner is to be announced on Monday 3rd March 2014. We are looking forward to seeing some wonderful photographs!! Rye Grass, Epping Road, Roydon, Essex, CM19 5DW. Previous Previous post: November Competition Winner!!! Next Next post: FEBRUARY COMPETITION WINNER! !